The cat in the bag is out. Yes, the secret is finally revealed! 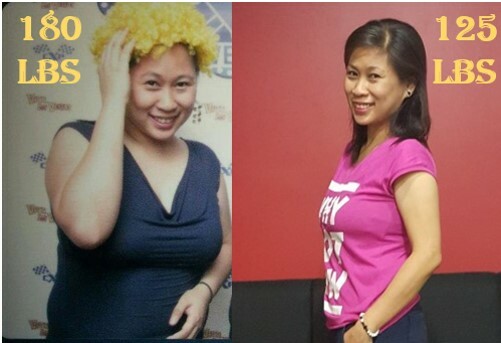 You can now melt those stubborn fats and get rid of the unflattering love handles permanently. You do not have to spend thousands of money in the gym. You do not have to starve. You do not need to eat crackers only for your meal. Eat all you can and still lose that weight! Yes. I transformed from 180 lbs to 125 lbs. “Anna, let me know what is your diet”. Yes, these are just some of the questions I receive in my Facebook messenger. I get tons of invitations too from random people who are curious of what I did to remove the unwanted fat and sustain my new self. More and more of my friends are reaping the results of following my tricks! After a few months of contemplating if I should share the entire program to everyone, I finally did it. I completed the book that details my healthy weight loss journey and the little known secrets to melting those stubborn fats. After indulging myself with delicious Western food which turned out to have been the biggest contributor to my then ballooning weight, I went back to the diet of my childhood and youth. And the real results started to happen. I kept on shedding off lbs and lbs of unnecessary weight month-on-month. I feel lighter and more agile. I feel happier and my brains have become sharper too. I cannot complain. Today I am sharing to you the exact blue print of how I transformed from obese to healthy (and slim) without starving, without taking diet pills or drinking diet teas, and without exhausting myself in the treadmill. And I am also giving you 4 other special bonuses along with the life hack that can change your life forever! Visit me here at The Asian Diet Secret official website. Grab your copy now and see the results for yourself. Live a healthy life. Live a happy life!